In my experience as a hypnotherapist, I have found that understanding the source of a phobia can really help clients to overcome it. Sometimes phobias are very deep rooted, but with focus and determination it is possible to reverse their impact, and live phobia-free! A phobia is a debilitating condition that can make life very difficult. From heights, enclosed spaces or deep water, to spiders, fish or dogs; phobias are intense fears that are often irrational, but this doesn’t diminish how upsetting they can be. The sufferer may be aware that a certain spider will not harm them, or that a picture of a snake is not dangerous, but the fear is still intense. If you have an irrational fear, or a fear that affects your day to day life, it is likely that you have a phobia. Most people have a phobia or intense fear of some kind. As humans we instinctively fear anything that could harm us, so never feel embarrassed about it! Most phobias are a learned pattern of behaviour, which means that somewhere in the past you were taught to fear something. You may have experienced the fear yourself, or you may have witnessed someone else’s panic; a frightening situation that could influence your own feelings. The wonderful thing about learned behaviours, is that we can retrain our brains and unlearn them. When suffering from phobia, it can be very useful to identify the ‘seeding event’. A seeding event is the root cause of any fear. When this fear manifests at a later time through a particular trigger, this is known as a ‘secondary event’. The reason that a negative event in your past can make you panic years later is that your brain stores the memory of the event, as well as fearful emotions connected to it. So when a secondary event triggers the memory, the associated negative emotions also come to the surface, resulting in a phobic reaction. It is important to remember that when we store memories, we also store connected emotions. Sometimes people have panic attacks and don’t understand what causes them. However, there is usually a straightforward reason and most phobias can be overcome with analysis under self-hypnosis. 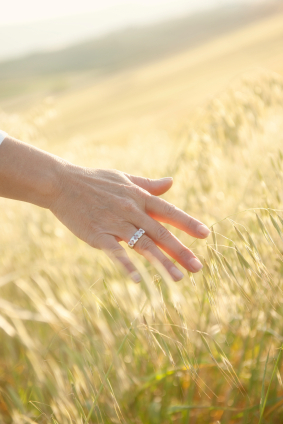 With most phobias, hypnotherapy works well, getting to the root cause and making changes at a core level. Use this self hypnosis technique to release your phobia. Go to a quiet room where there are no distractions. Sit or lie down, close your eyes and focus on your breathing. Begin breathing in slowly and deeply through your nose and out through your mouth. Breathe away any tension in your body with every slow out-breath and allow yourself to relax. Continue this breathing pattern until your mind becomes calm and quiet. When you feel relaxed, imagine you are watching a large screen, on which there are moving pictures showing a time in your past when the seeding incident occurred. As you watch, you can clearly see the sequence of events at the root of your phobia. You may feel anxious watching this event: just reassure yourself that you are viewing it from a safe place. Allow your mind to guide you and feel in control. Affirm that you feel safe and secure as you watch the pictures. While running through the images of your seeding event, breathe very slowly and deeply, and with every slow out-breath, breathe away negative feelings. If you cry at this point, that is fine; affirm in your mind that you are releasing the fear. throughout. As you watch, feel relaxed, safe and in control. If nothing comes to you straight away or you can’t visualise the seeding event, remember the first time you felt the fear and how it made you feel, then breathe that feeling away. As you watch yourself on the screen at the time your phobia began, you will understand the reason for it, but start to let it go. Imagine you are releasing the cause of the problem by screwing up the images into a ball and throwing them away. When you feel the fear has disappeared, imagine the picture on the screen turning to black and white. Watch the image gradually fade, becoming paler until the screen becomes blank. You now feel very detached from the cause of the problem, as though it is no longer part of you, just a fading memory. When you are ready you can bring yourself back to full waking consciousness by counting up to ten. As you do so, imagine becoming more awake with each number, and at ten open your eyes. As you do this, it is important to affirm that every part of you is back in the present, while the underlying problem that was causing your phobia has gone forever and is no longer a part of you. For the vast majority of people, releasing a phobic pattern of behaviour through self hypnosis will be a positive experience. It might even result in a tearful emotional abreaction, which in my experience is a good thing. When my clients have abreactions under hypnosis it is often an indication that they are releasing blocked emotions. So if you cry during or after using the technique, don’t be alarmed – it is usually a sign that things have shifted, opening the way to overcome the phobia. P.S. 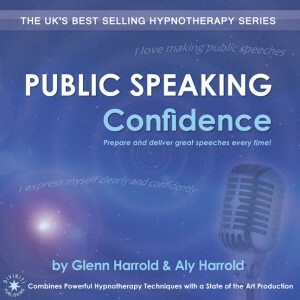 My hypnotherapy recordings can help you overcome fears and phobias. Mental training programs can help you to increase your potential in life. 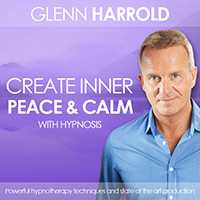 Use advanced techniques of hypnosis to help you change the programming of your mind, and teach you self-hypnosis techniques so you can successfully continue to make changes. Also great article shared you have shared. Keep sharing more.